The central enquiry of this monograph will be how advertising practitioners in Britain and the Netherlands viewed television advertising - and especially its content - in the years before and after its launch: from the early 1950s to the mid-1960s in Britain and from the early 1960s to the early 1970s in the Netherlands. The coming of the new medium offered advertisers new opportunities to reach their public, but it also forced them to find a new rhetoric. How did the views of practitioners regarding television advertising content develop in the first ten to fifteen years after its launch? Did they change, and if so, how can these changes be explained? By studying its early historical development, this monograph seeks to add to our understanding of the phenomenon of TV advertising in general. The discourse among advertising practitioners on the content of television advertising forms its heart. This publication is the result of the HERA research project Technology Exchange and Flow (TEF). Schreurs, W. (2014). 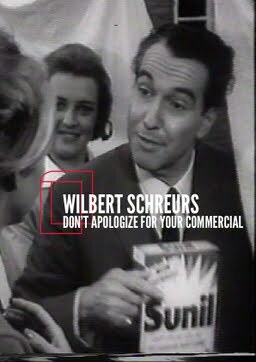 Don’t Apologize for Your Commercial. The Discourse on the Content of Television Advertising During the Early Years in Britain and the Netherlands. Netherlands Institute for Sound and Vision.